Winter, the season of snow sports par excellence, is also the period of sharing meals in authentic places filled with typically Swiss flavours such as that of melted cheese, of course! And after a stay full of sports and gastronomic experiences, how wonderful to immerse yourself in the hot baths of a spa. In the canton of Vaud, a good day of skiing ends with a fondue enjoyed at a friendly restaurant. You are spoilt for choice. There is, for example, L’Étable in Villars in the Vaudois Alps, La Trélasse in Saint-Cergue in the Jura, the Kuklos revolving restaurant above Leysin, Le Chalet in Château-d’Oex in a mountain village, La Vieille Auberge in Valeyres-sous-Rances, a winegrower’s village near Yverdon-les-Bains. Between tradition and modernity, the spas of the canton of Vaud are the delight of inhabitants and visitors alike. 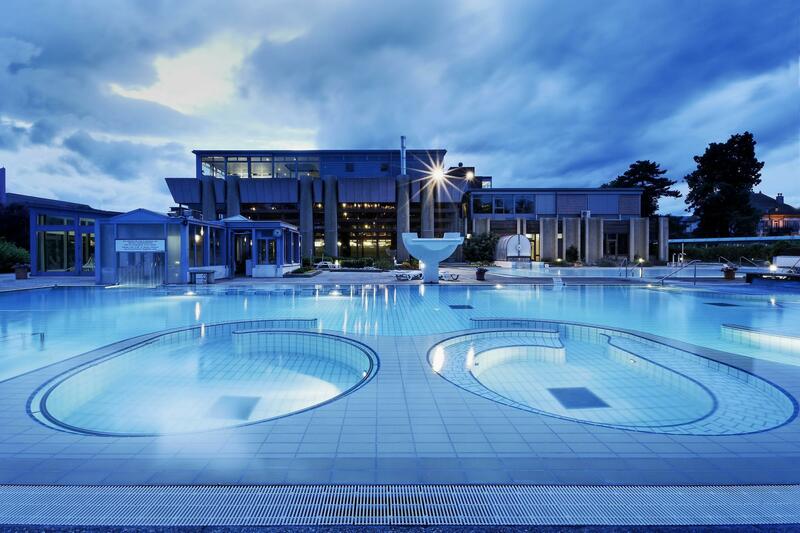 In Lavey-les-Bains, Switzerland’s hottest source water fills the indoor and outdoor pools that are surrounded by the majestic peaks of the Alps. In Yverdon-les-Bains, the spa tradition dates back to Roman times. The benefits of its wellness area are known throughout Switzerland. Two new spas have recently opened in the canton of Vaud. In Villars, a famous ski resort in the Vaudois Alps, as well as in Vallée de Joux, where the wellness area has been incorporated into the sports centre.